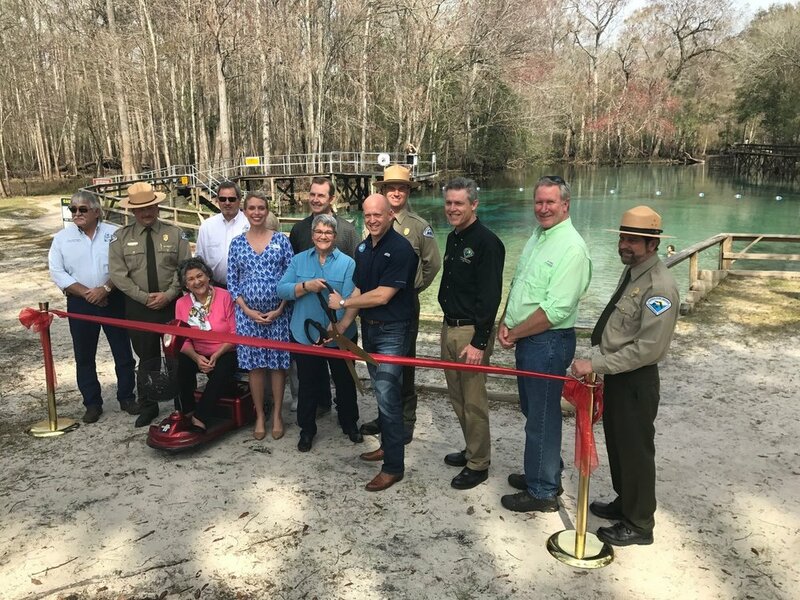 CTF's executive director Traci Deen was invited to speak at the Department of Environmental Protection’s Florida Park Service ribbon-cutting ceremony in February at Gilchrist Blue Springs State Park. It was a special opportunity to talk about the connection between conservation and the health of our springs. Prior to its purchase and protection, this privately-owned property was for sale and was at risk of being closed to the public. Thanks to Florida Forever funding, it is now a new gem in our incredible state park system. The 407-acre park contains six natural springs and includes approximately one mile of frontage along the Santa Fe River. As a state park, Gilchrist Blue Springs will continue to offer swimming, paddling, hiking and other recreation opportunities for our state’s residents and visitors. At the ribbon-cutting ceremony, DEP Secretary Noah Valenstein highlighted the enormous value of partnerships with members of local, regional, and state communities. As part of CTF's vision, we strive to serve as a trusted community partner to support statewide land conservation and we actively seek projects that help to replenish and safeguard Florida’s freshwater supply.